Plus free Romantic Moments 2019 and Top Girl 2021 Calendar! Plus 1 free Top Girl 2021 Calendar Free!!! Free!!! Free!!! C162-20 Kalpa Wall Calendar 2020 Top Girls 32 x 45 cmPlus 1 free Top Girl 2020 Calendar Free!!! Free!!! Free!!! Kalpa with Dreamnotes developed a unique concept. You write on the dark areas, while the rest of the background is lighter. 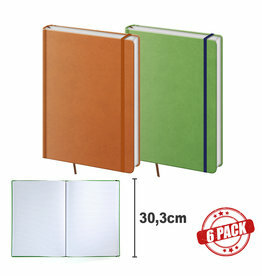 Value pack of 6 A4 size notebooks. The Helma notebooks are popular for a reason. They are ideal for business use or to carry in your bag. They are solid, very strong and radiate class! Outside dimension agenda : 210 x 150 mm. Paper size: 210 x 150 mm. Size: 104 x 68 mm. Ring distance : 19 – 25,5 – 25,5 - 19 mm. Size: 125 x 80 mm. Ring distance : 19 - 19 - 19 - 19 - 19 mm. Size: 125 x 80 mm..